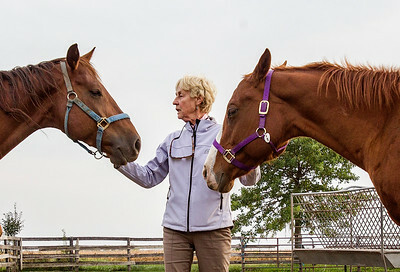 Sarah Nader- snader@shawmedia.com Donna Ewing, founder of the Hooved Animal Rescue and Protection Society, greets two of the 75 abandoned quarter horses that were left in inadequate living conditions for the past two years in Hampshire Wednesday, October 1, 2014. 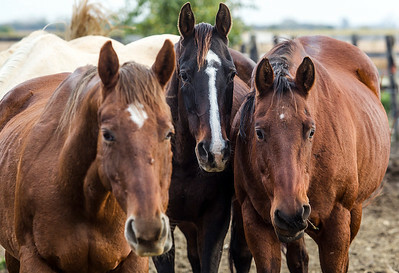 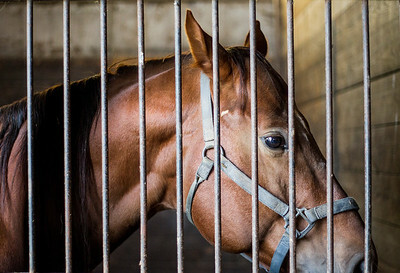 The horses' owner, once a leader in breeding American Quarter Horses, fell on difficult times after the death of two family members and the loss of her family farm in Harvard. 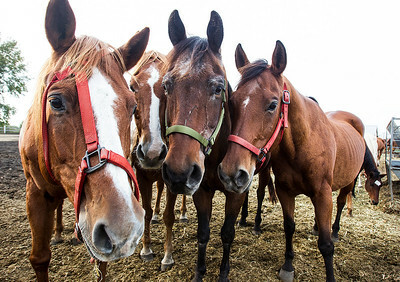 “We have less than a month to get 75 of these horses off the leased property and into permanent homes. 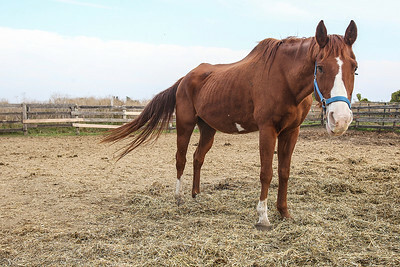 We are pleading with the horse community to come and adopt these animals and give them a new beginning in life.” said Donna Ewing.